A friend who teaches American and sometimes Asian history courses sent me the following enquiry, which she received via email from one of her American history students. I am happy to say that I have never received a student message this inane or inarticulate, though the fundamental confusion about the geography of the world and the chronology of our recent past is somewhat familiar. Of course the general ignorance of this message is frustrating, but what really bothers me is the lack of formality. I have talked with colleagues about this, and many disagree. Email is the students’ natural medium, they say, and they are not used to writing in the style of a letter as I would prefer: “Dear Professor So-and-So.” Still, it rankles me when I get emails from students that begin, “Hey, I was wondering . . .” Related to the lack of formality is the absence of care regarding spelling and grammatical errors. We all send emails (or publish blog entries) without spell-checking, but the above message is just egregious. Over Thanksgiving weekend, my family and I went over to the Waikoloa Hilton. My son loves the boats and trams, and there’s nothing like watching dolphins play. The pools are great and the food, though pricey, is good. But the fun part, for me, is their immense collection of Asian and Pacific art. Most of it is arranged along a mile-long “Museum Walkway,” and one evening after my son was asleep, I went out and walked the mile with my digital camera. Conditions were not ideal: a lot of the collection is under glass, and the hallway is narrow enough that larger pieces were sometimes hard to fit in the viewfield; as a result there’s a lot more pictures at an angle than I’d like. I went back the next day to see if I could get better non-flash shots, but the oddities of light and shadow on glass actually made it harder to get most things. Short of convincing the hotel to let me shoot a catalog for them, this is the best I’m gonna get. I was pondering how best to archive and share these pictures, and I finally decided to set up a Flickr account (I had to upgrade, since I’ve got about a gigabyte’s worth of material and that would take about 50 months to upload on the free account). I haven’t gone through the whole collection yet, but you can see a nice sample of about a dozen pictures here. The collection ranges from South Pacific to Asia, with a bunch of Western stuff thrown in for good measure; eventually my goal is to have the whole collection uploaded and sorted into sets. If anyone sees something here that they want more of, let me know and I can start there…. Also, in the category of sharing great collections of images, if you aren’t on H-Asia you might not have seen this: “The Section of Japanese Studies of the Department of East Asian Studies of the University of Vienna is pleased to announce the opening of the internet database: UKIYO’E CARICATURES 1842-1905” There’s a lot more than just caricatures, and the images aren’t very heavily annotated (though they did transcribe the texts, which is a nice touch), but it’s worth noting. Update: I’ve been rooting around Flickr — well, OK, I just plugged “Japan” into their group search box — and came up with a whole bunch of Japan-related collections: Japanese Archaeology, Japanese 20th Century, Buddhism in Japan, the very mixed Japan-Hawai’i Connection, and the deliberately mixed Japan: Old and New. Timesink! Naoko Saito takes John Dewey’s visits to Japan as a starting place for questions about “Education for Global Understanding” [registration required; I do like the way TCR seems to be branching more towards Higher Ed and international education lately, but it might just be a summer blip] and finds challenging material. In his visit to Japan, from February 9 until April 28, 1919, Dewey was confronted with a severe challenge to his hope of attaining mutual understanding and universal democracy beyond national and cultural boundaries. Japan at that time was between two world wars and had undergone a democratization movement called Taisho Democracy – a movement that was soon to give way to looming nationalism and militarism. Dewey saw a flickering hope for liberalism in Japan, but he left the country in disappointment. He tried to approach Japan through his principle of mutual national understanding. During the short period of his stay, he struggled to penetrate below the surface of the culture. As a philosopher who was thrown into an abyss that existed between two cultures, Dewey acknowledged that “Japan is a unique country, one whose aims and methods are baffling to any foreigner.” He communicated with Japanese liberal intellectuals, gave a lecture at the University of Tokyo, and was exposed to the left-wing democratic movements among college youth. But he learned that “such higher criticism is confined to the confidence of the classroom” (JL, p. 174). Dewey realized that the “popular mind,” to which he wished to communicate his idea of democracy as a personal way of living, was dominated by “nationalistic sentiment.” He observed that “the growth of democratic ideas” and “the growth of liberalism” were hampered by the inculcation of “the emperor cult” (LJ, pp. 170–173). Especially in contrast to China, where “[e]very articulate conscious influence [was] liberal,” Dewey noticed the obstacles to “the development of an enlightened liberal public opinion in Japan” – “the conspiracy of silence,” patriotism, and the institutional religion that prevented “critical thought and free discussion.” Dewey was troubled by the authoritarian, nationalistic ethics indoctrinated in primary education (LJ, pp. 167–168). He could not find democracy in Japanese people’s way of living. Furthermore, Dewey was confused by an inconsistency involved in Japanese modernization – a combination of the “feudal” and “barbarian” ethos of the warrior with the worship of western industrialization (LJ, pp. 160–161). As he put it, “There is some quality in the Japanese inscrutable to a foreigner which makes them at once the most rigid and the most pliable people on earth, the most self-satisfied and the most eager to learn” (LJ, p. 168). In the country’s “opportunism,” Dewey found it “difficult in the present condition of Japan to construct even in imagination a coherent and unswerving working policy for a truly liberal political party” (POJ, p. 259). Actually, that last sentence should be, based on her description of Dewey’s responses, “what happens if one’s democratic faith is entirely rejected in a different culture?” A bit later, Saito notes that “In the series of lectures that Dewey gave at the University of Tokyo, the number of participants decreased from around a thousand to less than forty towards the end.” And, of course, there’s little evidence of Dewey’s influence in Japan’s educational or political systems to date. Clearly his visit failed to transform Japan, unrealistic as that standard of judgement might be. Clearly Japan as a society is not fully accepting of differences and others (are any societies?) and has a civil discourse which is more limited than many of us would consider ideal, or even healthy. I’m mostly struck by the tension between the idea of Taisho Democracy, which was indeed in full swing when Dewey dropped in, and what Dewey observed as rigidity, obscurantism, chauvinism and authoritarianism. Given what we know of the course of history, Dewey’s observations ring true, but that doesn’t necessarily mean that he didn’t miss something important. 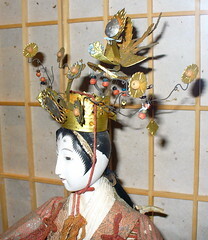 The 1920s were a heyday of internationalism in Japan, not just in the sense of the Shidehara Diplomacy but also in terms of translated literature and scholarship, travel overseas, international visitors to Japan, and the penetration of commodity culture carrying both domestic and international products and modes. Dewey should have seen some of that potential; instead he (and his followers in the present) deny that the eclectic and dynamic 1920s were more than epiphenomal. There’s a consistency to this narrative that I find troubling, possible evidence of a cultural determinism which is untenable, historically.